St Pierre Marriot Hotel and Country club is located at the gateway to South Wales making it the perfect destination for a business or leisure trip as it has easy access to Cardiff, Bristol, Bath and even London. The 14th century manor is set in 400 acres of beautiful countryside providing the perfect backdrop for a relaxing retreat. The Beauty Rooms at St Pierre offer a luxury spa experience and have a variety of treatments to choose from. The Leisure Club has a well-equipped gym and peaceful indoor swimming pool for guests to enjoy. The golf course is one of Europe’s premier courses and is set in the stunning grounds of the hotel. The hotel has 11 meeting rooms which can host up to 300 guests making it the perfect venue for a business conference or a wedding. St Pierre has an AA Rossette formal restaurant, a more contemporary dining experience or a bar available. The Beauty Rooms as St Pierre offer several luxurious treatments for its guests to indulge in, many of which feature renowned Decleor and Murad products. Customers can choose from a variety of massage styles, beautifying makeup services or rejuvenating facials. There are plenty of men’s treatments available as well as couples treatments. Highly trained tanning therapists offer a Tan and Tea package which leaves guests fully relaxed and sun-kissed. There are also several other packages available. St Pierre Country Club is home to one of Europe’s premier golfing venue and boasts an 18 hole course which has hosted several European tour events. Visitors can benefit from lessons or practise on the driving range and putting green. The Leisure Centre has a well-equipped gym with cardiovascular equipment and free weights as well as complimentary fitness classes and an optional personal trainer. 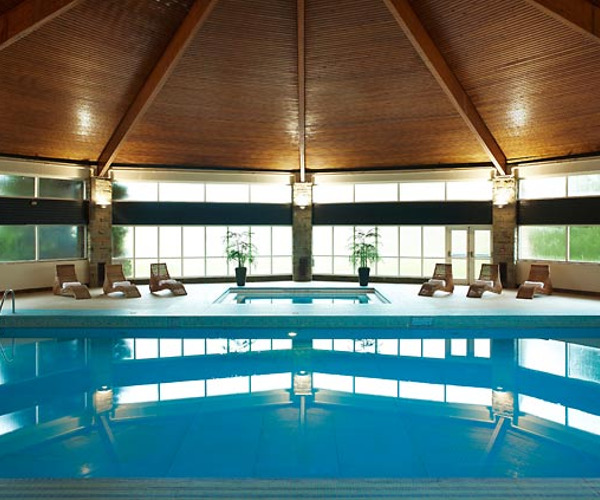 The indoor swimming pool is accompanied by a whirlpool with towels provided by the hotel. There is also a jogging and fitness trail, a sauna and tennis courts. The hotel is a great place to base yourself if you’re after exploring the surrounding area as it is located just minutes from the M4 meaning that Cardiff, Bristol and Bath are within easy access. The hotel’s guest rooms all benefit from luxury modern amenities and full access to the gym, pool and sauna. 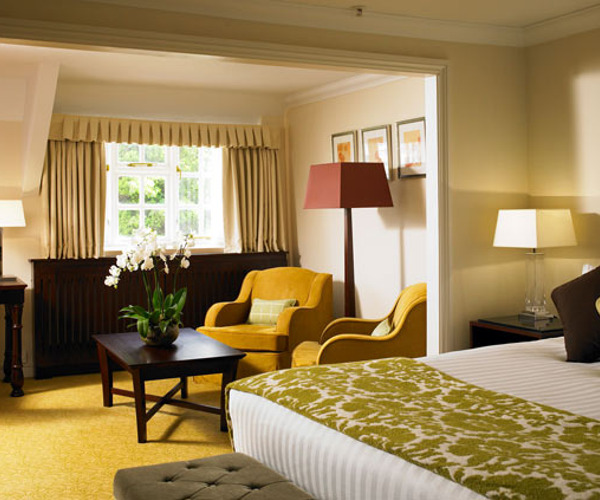 Each room comes with luxury hotel bedding, carefully designed interiors and 24 hour room service. There is high speed wireless internet access in every room. AA Rosette award winning restaurant, Morgans uses locally sourced produce to create its traditionally British menu. It is open for breakfast. Zest Restaurant is a more relaxed dining experience and offers an international menu for breakfast, lunch and dinner. The aptly named Trophy Bar overlook’s the 18th hole on the golf course and serves light meals during lunch and dinner.